In lieu of flowers memorial donations may be made to the El Dorado Springs First Baptist Church and left at the funeral home. Myrtle Lavina (Greer) Smith, age 85, of El Dorado Springs, MO, passed away at Cedar County Memorial Hospital on Tuesday, March 12, 2013. Myrtle was born March 2, 1928 in Walker, MO, the daughter of Roy and Birdie (Phillips) Greer. Myrtle attended Schell City High School and was an avid basketball player for the Schell City Bears. Myrtle married Calvin Smith on May 17, 1946, after corresponding with him while he served in the Combat Engineers in Burma during WWII. They were married 60 years before Calvin’s passing in 2006. To this union were born two daughters. Calvin and Myrtle moved to El Dorado Springs in 1950. She was a Christian woman and a member of the First Baptist Church. With service as a gift, she was church hostess for many years and cooked for the Golden Agers even before she was old enough to be a Golden Ager. Preceding Myrtle in death were: her husband, Calvin; her parents; three sisters; and four brothers. Survivors include her two daughters: Linda Green and husband Larry of Peculiar, MO; and Glenda Ware and her husband Melvin of El Dorado Springs’ grandchildren: Jim and Michae Weatherly and family; Mytzi and Trent Stephens and family; Angi and Shane Dahmer and family; Nichola and Joe Engle and family; and Katrina and Frederick Caddell and family; two stepdaughters; numerous great-grandchildren; and two great-great-grandchildren. 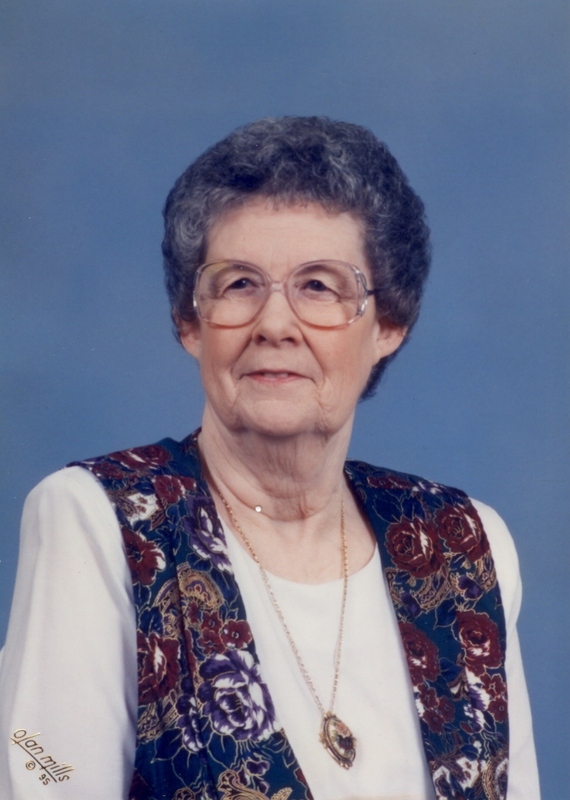 Funeral services for Myrtle Smith were held on Friday, March 15, 2013, at 2:00 p.m. at Bland-Hackleman Chapel, with Rev. Ron Marsh officiating. Rusty Carver provided music. Burial followed in the El Dorado Springs City Cemetery under the direction of Bland-Hackleman Funeral Home. Pallbearers were: Shane Dahmer, Trent Stephens, Joe Engle, Fred Caddell, Ken Perrodin, and Clarence Graves.